Here we have a lovely Battle of the Beige: Toyota Highlander vs. Chrysler Town & Country. If you need the versatility, you'd probably go with the T&C. But if you're being paid to advertise the Highlander, you probably shouldn't go with the T&C. It wasn't so long ago we saw the hilarious Terry Crews in a Super Bowl ad (not to be confused with any other black guys doing Super Bowl ads this year) for the Toyota Highlander with almost all of the Muppets. It was a quirky ad designed to spur interest in an otherwise average crossover. 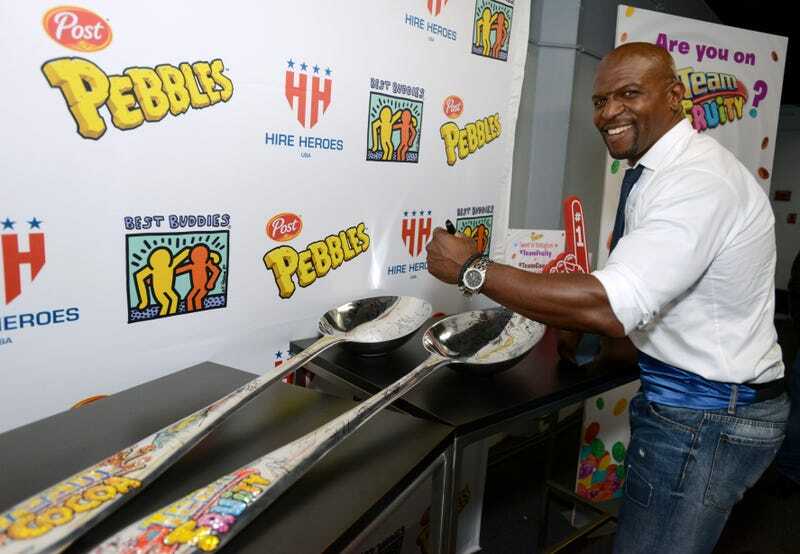 "Once at a gas station, a kid asked me if I was Terry Crews. Then he saw me get in the van and shouted, 'Never mind, Terry Crews would never drive that!" People can hate, but I don't care — I press a button, the doors swing back, I throw in the groceries, and I'm rollin'." Guess Crews' contract with Toyota didn't include a "don't talk about the competition" clause. But truthfully if we had to choose between the Highlander and the T&C, we'd go with the T&C, too.